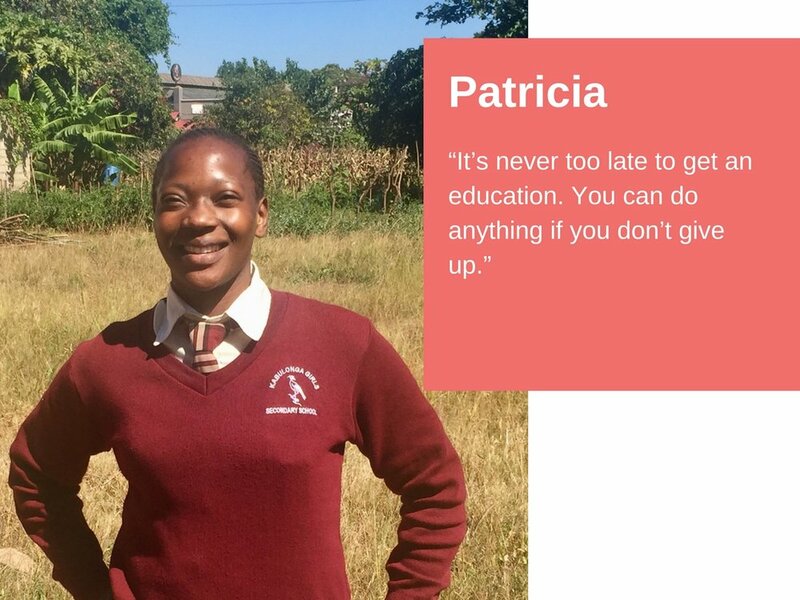 Patricia just graduated from high school, and is now waiting to go to university where she wants to study nursing. 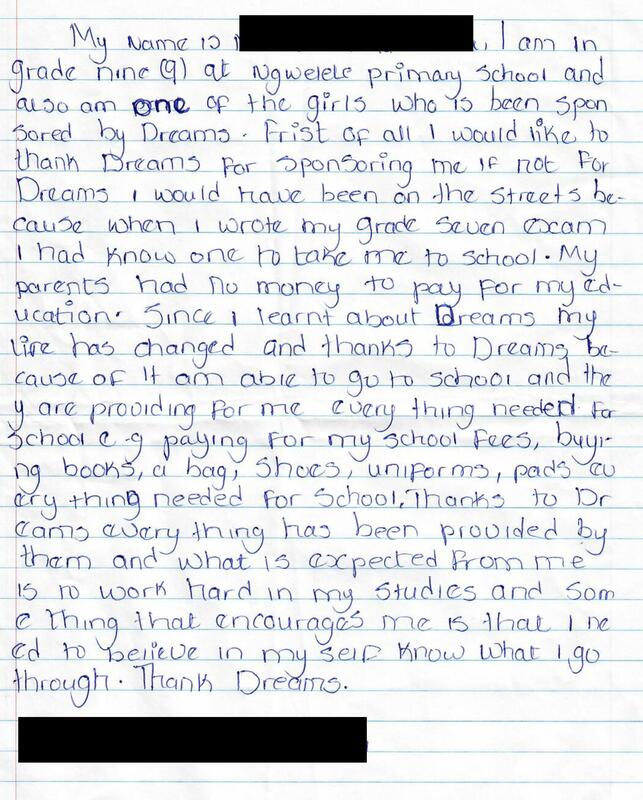 "The DREAMS scholarship helped me in many ways. Firstly, I completed my high school education without struggling for school fees, uniform, school bag, books and shoes. Secondly, I have the basic education that will uplift my life from now onwards. Thirdly, the education I obtained will help me be independent so much that I will be able to sustain my children's lives and also help my family and other people in need."